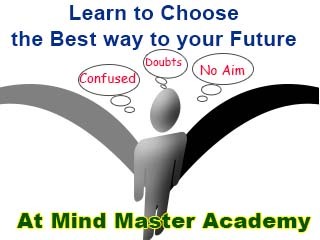 MIND MASTER ACADEMY aims to develop harmonious personalities, who are culturally refined, emotionally stable, ethically sound, mentally alert, morally upright, physically strong, socially efficient and spiritually enlightened. MIND MASTER ACADEMY is delighted to prepare a home where men of tomorrow are trained to take their place as enlightened citizens in the society and contribute to inter national development. 1. Punctuality: - Time once lost is lost forever, keeping this in mind we keep punctuality the first place. 2. Work consciously: - To make sure that everyone at Mind Master Academy gets the ability to use his/her potential and talent. 3. 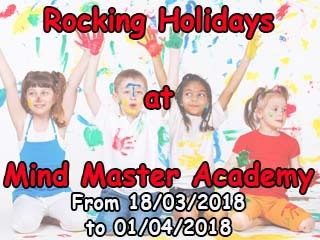 Being polite and humble: - The staff at Mind Master Academy will be different from the ones you have already experienced. 4. Work with perfection: - with all possible ways we can, we work to make whatever we give to perfection. 5. Make use of the technology: - To get connected with teachers, parents and students we make use of all the possible technologies.